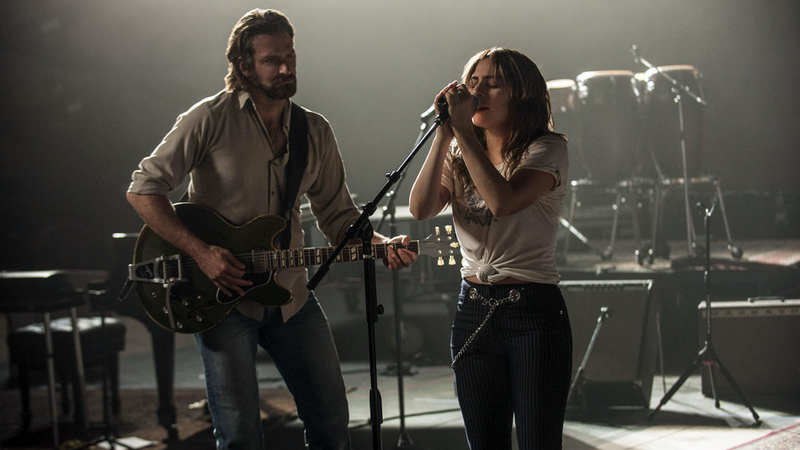 A Star Is Born is now showing everywhere thanks to Warner Bros Pictures and Roadshow Films in Australia. 2018's A Star Is Born has a lot to love. In a film that receives ticks for outstanding in many areas, it is a gritty and powerful portrait of two talented people falling in love while also dealing with fame, jealousy and addiction in the public eye. It is a tremendous achievement in both film and music and to say it is a solid directorial debut by Bradley Cooper would be an understatement. However, the film is problematic and not as a result of the production itself. It's downfall lies in the inherent nature of the film being the fourth cinematic version of A Star Is Born. 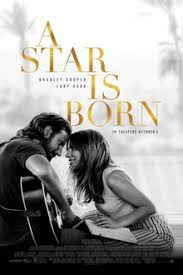 One can understand why A Star Is Born has been revamped every few decades as it's formula is a winner with movie-goers. Everybody loves a story about a bright young thing who wants more than anything to find fame and fortune, only to find it to not be as it seems. The film and music industry is constantly changing so the film can be completely redone in a new fashion every few decades. 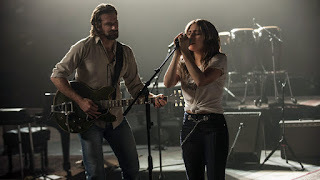 With Bradley Cooper's A Star is Born, we see the focus shifted to the 2018 music industry; a digital age where struggling singer, Ally (expertly played by Lady Gaga) is plucked from obscurity by a country music star, Jackson Maine (Cooper), who see's something in her that others have not. Again, it is a story that is easy to get excited about as society loves tales from the world of entertainment. It also has the inspirational element for people like Ally, who are struggling to find success and the takeaway from the film is that that success can come when you least expect it as long as you take every opportunity you can. Ally's first live performance of "Shallow" is a perfect depiction of a dream coming true in slow motion. The song, which is a sure thing for an Oscar nomination, not only shows two people falling in love thanks to the power of music, but it is a pivotal moment of the film and everything comes into focus and shows how every little detail of a dream coming true is important. Yet, the 2018 film has it's problems that the earlier films did not and it is because of the changing times that we can see these problems. 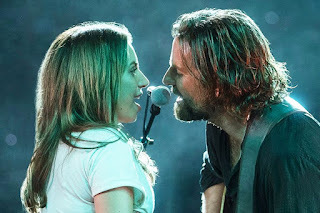 A Star is Born suffers from a severe lack of female characters, with Lady Gaga's Ally being the only real female character besides the stagehand, Gail who appears for two minutes. Neither Ally nor Jackson have any females in their families. Ally's whole life is governed by men...in her family, in her job, in her marriage and in her career. In addition to this, the narrative (which has been inherited from earlier films) means that she has a man to thank for her career as Jackson was the one who gave her her break. Her manager, Raz Gavron (Rafi Gavron) also controls her solo career and her rise to fame. To call 2018's A Star Is Born sexist would be far too simple and a compulsive conclusion to jump to. There are definitely sexist elements. For example, there is no reason Ally should be the only female character of worth. However, it is a credit to the film that they do include gay and transgender characters. Yet the sexism of the narrative is a different matter. There is the idea that Jackson may be able to help propel Ally to stardom, but who is actually the strong one? She is strong to stand beside him in his weakest moments, be his rock and stand up for him when no one else will. So if it is a relationship of give and take, is sexism really part of it? Or is the career aspect of their relationship sexist? Then there is the other unfortunate part of the narrative which is perhaps an unintentional, but nevertheless unsettling representation of the entertainment industry. Despite the fact that we are living at a time where the industry is experiencing the effects of the #metoo movement, there is a long way to go as the business of both music and film has been run by men for so long. We see in A Star Is Born how all the music executives and decision makers are men and while from the outside this looks horribly sexist, it is an unfortunate reality which is in the process of being changed and still has a long way to go. This is not something someone watching the 1937 version of A Star Is Born which focused on Janet Gaynor's Esther wanting film stardom would have even considered as a notable part of the film, as it was just an accepted part of the industry and seen as normal. However, current events have made us see things differently. Cooper could have adjusted this, but would it have been realistic if he did? Despite these inherent problems, A Star Is Born is still a superb film that is emotional and hard-hitting. It does not shy away from the destructive nature of addiction and shows in graphic detail how it impacts the individual and their family. Cooper directs himself flawlessly as he gives a believable and gritty performance of not just a star in trouble, but a man who feels helpless and ashamed within himself. Lady Gaga gives a performance which many will see as reflective of her own rise to fame, but her Ally is far more than that. She is a woman who many will relate to as she is often plagued by her own guilt of doing what is good for her or what is good for the person she loves, and a woman who cannot help but love someone who does not love themselves. More than that, she turns everyone who was ever on the fence as to whether they are a fan of her as a singer into a true fan with her outstanding and memorable live performances throughout the film. A Star Is Born is it's own worst enemy at times by bringing forward the problems of the entertainment industry and it's original story, which Bradley Cooper would have felt an obligation to remain true to. Yet it is hard to hold too much against it when it truly is an incredible and memorable film for everything it does so right. 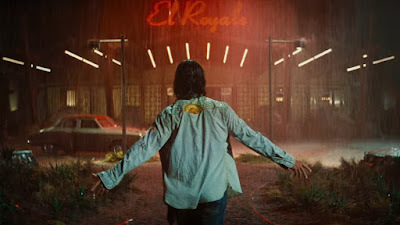 Entertaining and delightful at face value and excellent beneath it's surface, Bad Times at the El Royale is a rare gem of cinema that turns deception into a stunning and enjoyable piece of art. With it's array of superb performances and it's nostalgia-charged production, this film says a great deal more than it does on it's already fascinating surface. Written and directed by Drew Goddard, the film starts off by deceiving it's audience into believing that they will be watching an Agatha Christie-esque story set in 1968 play out on screen. A group of strangers arrive in a seemingly deserted hotel on the California-Nevada border that was once the scene of many a party of the Hollywood elite, but now only contains the ghosts of it's glory days and a sinister and sleazy atmosphere thanks to the retro lighting, dark corners and a bell boy (Lewis Pullman) who is never quite present. We are introduced to each of these mysterious travellers and, as is unfortunately human nature, judgement is swiftly passed on each one of them as we note their flaws and attempt to guess what their story is. 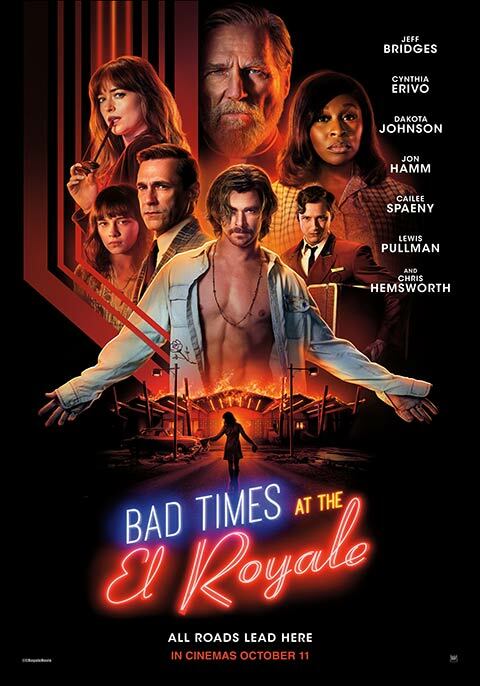 Bad Times at the El Royale does look like a typical thriller, so that is what our minds have been trained to do when watching such a film. However, once Jon Hamm's egotistical salesman, Laramie Seymour Sullivan reveals himself to be quite the opposite, the story quickly reveals each of the characters and their situations to be quite different than what we assumed and that is when the film reveals itself to as far as possible from a Christie novel. Bad Times at the El Royale is unpredictable in the most unpredictable of ways. The screenplay is not only well constructed with spectacular character development and an intriguing and suspenseful story, but it also presents us with something of a realisation about ourselves. Bad Times at the El Royale does something very few genre films do and that is it makes us stop and question the relationship between what means we use to solve a mystery and how judgemental we are as humans. We are so quick to predict the motives of the characters based on what we see them doing, their professions, how they talk and how they are dressed, that it is only time that reveals that things really are not as they seem and there are very few characters are what they seem. In addition to that, there are so many complex personalities that also make you question what makes a good person or a bad person, and does it all just depend on circumstance? It is a brilliant method of deception by Goddard, but it also reminds how we pass judgement on everyone we meet. It is a horrible part of human nature to base judgement on first impressions and it often takes something, such as Bad Times at the El Royale to remind us of this. However, the associated guilt of this realisation is almost welcomed as Bad Times at the El Royale is so well done. At it's 2 hours and 21 minutes running time, it is a roller coaster of a film with a steep ascent for the first hour to build suspense, followed by fast paced twists and turns. The incredible production design of the El Royale is absolutely mesmerising. Yet, it is Cynthia Erivo as struggling, down on her luck singer, Darlene Sweet that is completely and utterly spellbinding. Erivo owns every scene she is in and with her own hand, almost brings the film into the musical genre. Like a performance in such a genre, she not only has an amazing singing voice, but she is able to portray her character through song as well as her dialogue. The film also benefits from star performances by Chris Hemsworth, who once again proves his versatility by becoming a terrifying Charles Manson-like manipulative. Lewis Pullman also gives a head-turning performance as the bellboy, Miles Miller, a character who is one of the true surprise packets of the film. Bad Times at the El Royale is whole load of fun and a true creative joy. It makes the unforeseeable link between how we watch a thriller and how our minds work as humans and does it in entrancing fluorescent lighting style. 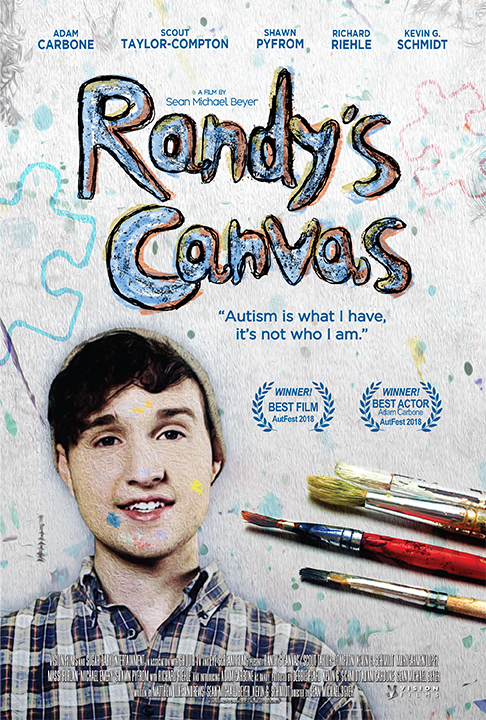 Vision Films and Sugar Baby Entertainment are proud to present Randy’s Canvas, the new, uplifting fictional feature film about a young man with autism who discovers love for the first time in a confusing world. Through his incredible art, Randy and the world come to understand that what makes him different does not define who he is. Director Sean Michael Beyer’s thoughtful and inspirational film took top honors at the 2018 Autfest International Film Festival winning Best Film and Best Actor and has been praised by Autism Activist, Dr. Temple Grandin, and Autism Speaks as being a “sweet, heart-warming tale, portrayed beautifully”. Starring Adam Carbone (Dude Food with Sean and Sometimes Adam, Another Tango), Scout Taylor-Compton (Rob Zombie’s Halloween, The Runaways), Kevin G. Schmidt (Cheaper by the Dozen, The Butterfly Effect), Massi Furlan (Live By Night, Supernatural), Michael Emery (Bone Tomahawk, Shameless), Richard Riehle (Office Space, Glory) and Marycarmen Lopez (Queen Sugar, Tragedy Girls), Randy’s Canvas is now on DVD/VOD with all profits going to benefit the charity The Autism Project. Randy (Adam Carbone, Best Actor, AutFest 2018) is a young man with autism who aspires to be an artist. Curator Maurizio D’Oro (Massi Furlan) notices his talent and opens many doors for him, including the chance to study with the renowned art professor, Hausdorff (Richard Riehle), and to have his work shown in a gallery. When Randy falls in love for the first time, his life begins to spin out of control as he tries to deal with a roller coaster of emotions and first-time experiences. With the help of his new classmate Cassie (Scout Taylor-Compton) he learns valuable lessons about friendship, emotions and acceptance. Randy’s Canvas is now available on Digital for an SRP $4.99 - $9.99 Rent or Buy across all platforms and to Buy on DVD for $12.99.